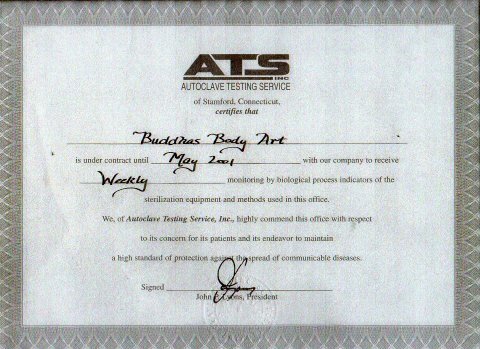 Any tattoo or piercing studio that truly has your safety in mind will sterilize their equipment with an Autoclave Sterilizer. They should also be able to provide you with a document from a third party source that proves the sterilizer effective kills bacteria. How often should a sterilizer be test? The sterilizer should be tested on at least a monthly basis.